For many regional Australians, community is everything. So when poor mobile coverage leads to a breakdown in communication, everyone misses out. Reg Kidd of Orange, NSW, is on a mission to ensure that doesn’t happen, and he’s determined to see it through. Reg Kidd doesn’t have a lot of down-time. 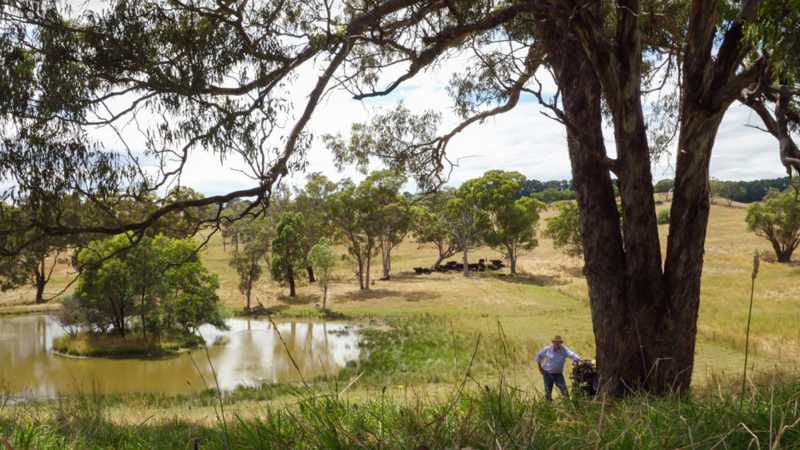 A horticulturalist and sheep and cattle farmer by trade, he also provides training and agricultural consultancy services in Orange and the surrounding area, while representing the National Farmers’ Federation (NFF) and the New South Wales Farmers’ Association. To put it bluntly, he needs to be connected. 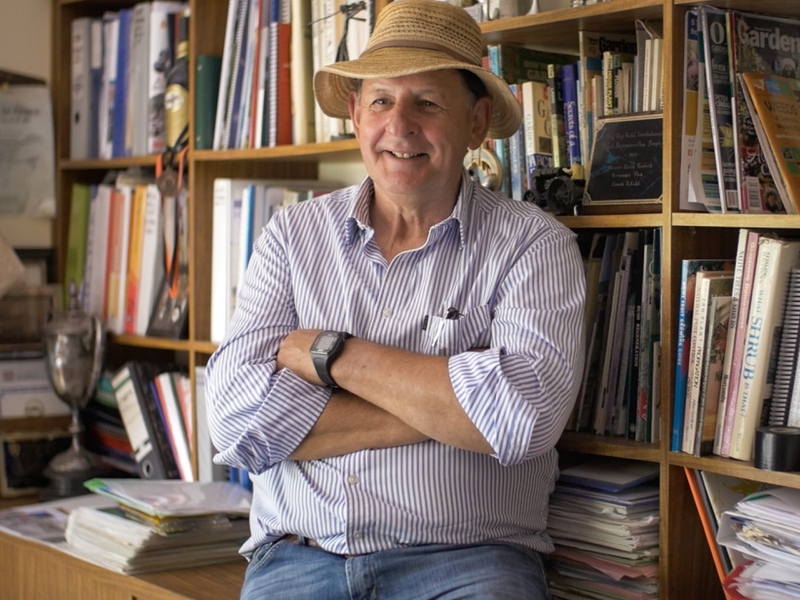 Reg’s job involves communicating with a slew of stakeholders – from business contractors, his colleagues at the farmers’ bodies, and apprentices he helps to train all over NSW. Health and safety is one of the clearest reasons to help improve regional mobile services and it’s critical that emergency services are contactable given the various hazards of living in the bush. “When I’m training new staff, they may have a problem or something they want to ask me, so I need to be in contact with them” he says. “And of course when I’m travelling – if I break down, a tyre runs flat, or I have an accident on the road. You’ve got so much downtime in a vehicle. From here to Broken Hill is nine hours – you pull over at various stages to have a drink or re-fuel, where I could check for emails, texts, or phone calls. I could call and say ‘I’ve just pulled over’, or ‘I’m running late’, or ‘I’m out for 2-3 days’. I could be here, I could be in town, I could be anywhere – I don’t have to be right here [in my home]. He recalls a night where, after breaking down near Broken Hill following work at 2:30AM, it took close to four hours to wave down a passerby as his phone didn’t have reception to call anyone. For his business, however, he’s not willing to take that chance – enforcing a rule that none of his staff could drive at night, with certain stretches of road requiring two people (at significant cost). 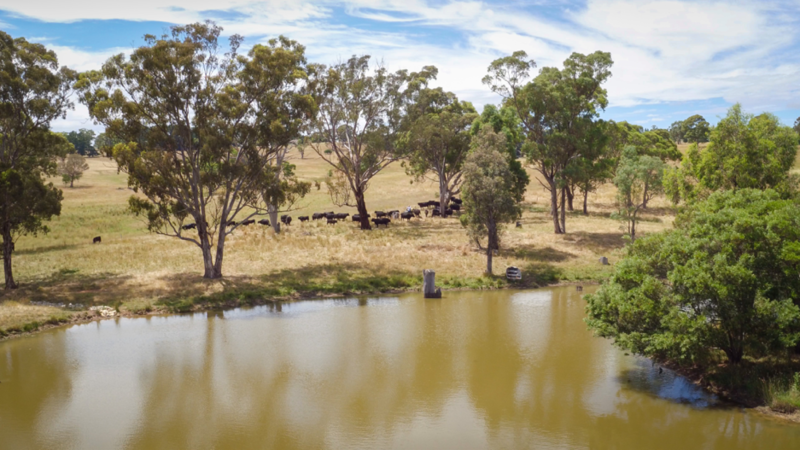 As we’ve heard countless times in regional Australia, businesses are being held back by poor mobile coverage and productivity is suffering as a result. Reg points to the local farming community as a strong example of an industry in dire need of reliable mobile coverage. 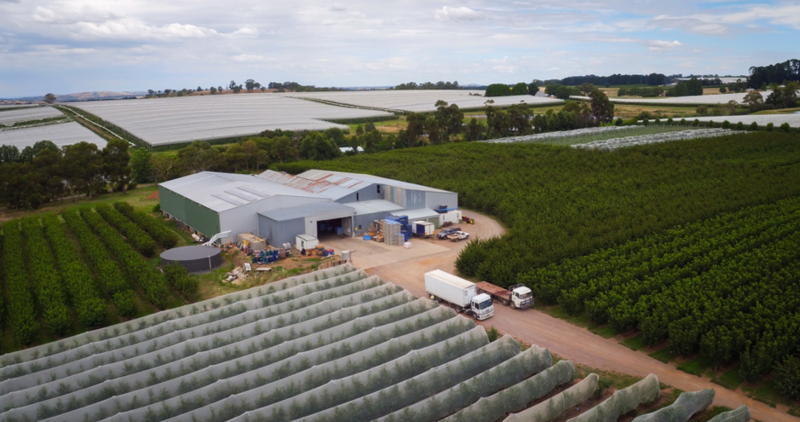 “They’re dealing with overseas markets, they’re dealing with backpackers from France, or Holland, or Germany, for picking and boxing the fruit. I would have friends right now on a phone somewhere saying ‘can you have this many boxes of that grade of cherry on a truck down to Sydney tomorrow?’, because it’s going out by plane at 11AM to Japan, or to China, or wherever it may be.” He mentions these big clients require the surety of a phone call to do business – even email is too slow to pursue as a realistic option. Another area Reg is keen (but currently unable) to get involved in is drone technology. 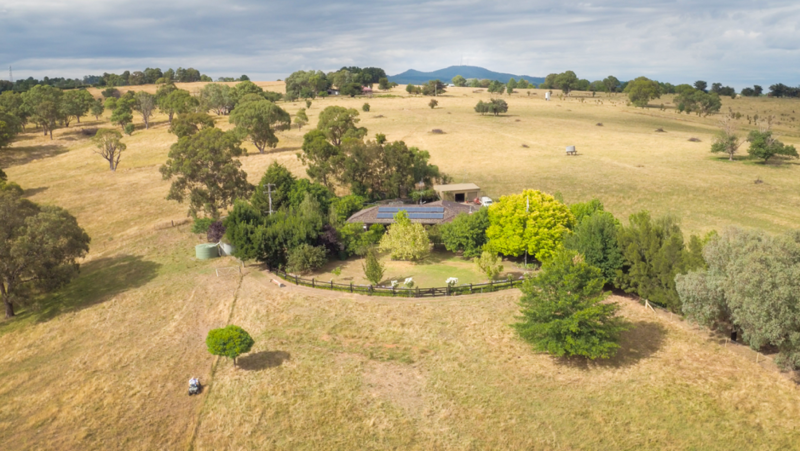 He cites studies from the University of New England and the University of Sydney in the effectiveness of drones for weed management, as well as live mapping that could reduce the hours spent on property management by up to ten times. Oh, and for fun too: “Everyone needs a hobby. I’ll get permission for the business reasons, but I can have a bit of fun too…”. Reg also raises a vital point that had so far gone unmentioned: –The social side of communication is just as much of a public issue as the business end. Though depression is a real problem in regional Australia, he thinks we can overcome those barriers with the right communication. The NFF currently spends “hundreds of thousands” of dollars annually on advertising for support services like Lifeline, Beyond Blue, and the Black Dog Institute, however, these services only work when you have access in the first place. 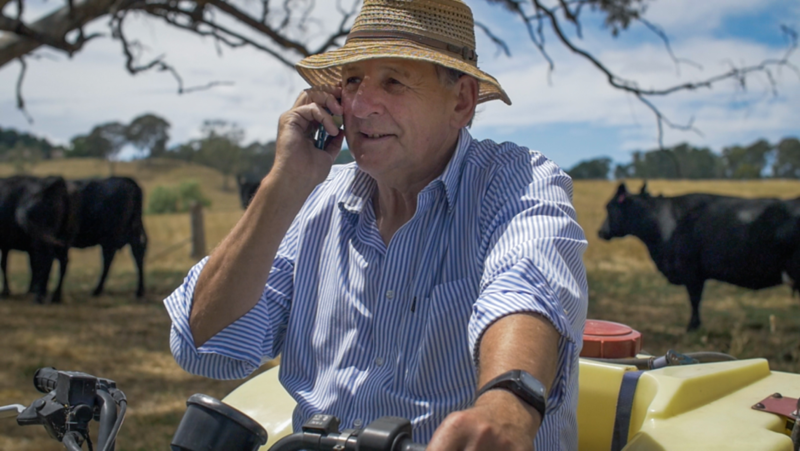 In realising how important reliable mobile coverage and choice of service provider are for Australians, particularly those living in regional and remote areas, Vodafone has been advocating for the regulation of domestic roaming. Through domestic roaming the cost of building and upgrading mobile networks can be shared between two or more mobile providers. Consumers would receive the benefits of choice, as multiple mobile providers would compete on the basis of one mobile network in many rural and remote areas. Reg has a lot riding on better mobile services. From training younger generations, to his own business endeavors, to family (his two sons both work internationally and struggle for service when visiting home), to his work in the local community. For this, Reg Kidd is on board with domestic roaming. If you support domestic roaming, contact your local MP now and let them know. As the Regional Connect specialist at Red Wire, Tim is passionate about improving mobile coverage and choice for regional and rural Australia. Tim also advocates for policies to support digital innovation in agriculture.